are leading the winery together. Erwin Sabathi, viticulture, winegrower and cellar master, is responsible for all processes in the company, for the implementation of his philosophy in his winery and he is the main responsible person in the wine cellar. Vinification is his life, his wines are his life’s work. His wife Patrizia Sabathi is responsilble for product management, marketing, sales, international clients and together with her husband for the executive and operational management. Mariana Sabathi cares for our customers at the winery and for the bookkeeping. Gerd Sabathi is responsible for the cultivation and the vineyard treatment. He coordinates all activities in our extremely steep vineyards and is responsible for the vineyard employees. He is supported by an excellent team of winemakers and cellarers, Patrick, Christian, Daniel and Markus. Christoph Sabathi is responsible for numerous administrative activities and for all IT topics. He cares for our customers at the winery and for our distribution partners, supported by Elisabeth. 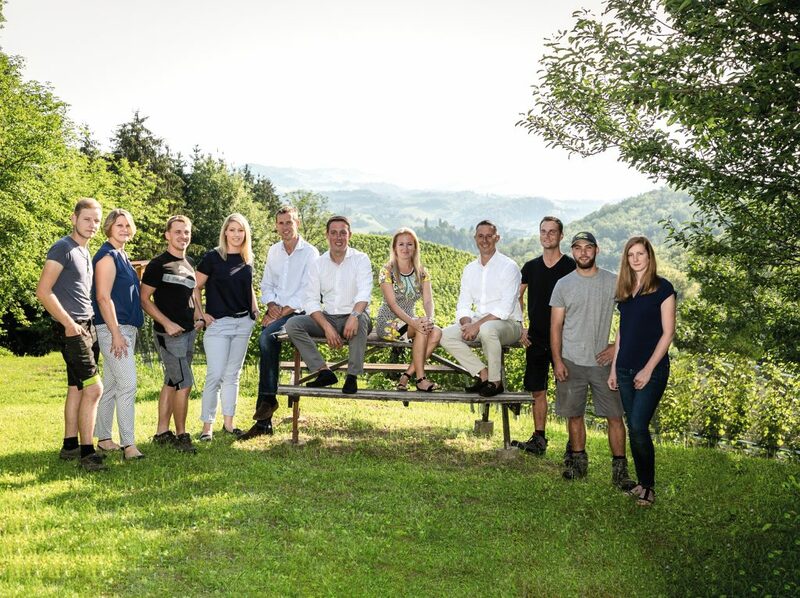 Our numerous hard-working employees support us in sales, in the office, in the wine cellar, in the vineyards, as well as in the maintenance and servicing of our buildings.